"The Christ in the Bible Commentary: First and Second Thessalonians, First and Second Timothy, Titus, Hebrews, James, First and Second Peter, First, Second and Third John, Jude, Revelation"is bookfour of afour-volume commentary series. 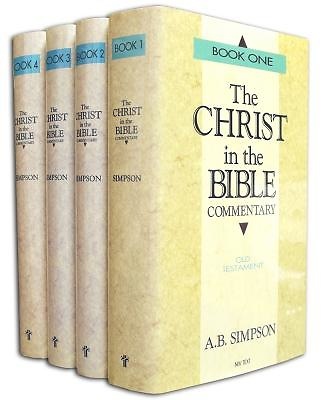 When Dr. Simpson first produced this series back in 1888, he stated that his intent was "e;to unfold the spiritual teachings of the Scriptures, especially with reference to the Person and work of Christ. "e; Indeed, these volumes will help both pastors and laypersons alike in their understanding of the person of Christ through Scripture."